Fleece Floral Top Just $15.99! Down From $46! Shipped! You are here: Home / Great Deals / Fleece Floral Top Just $15.99! Down From $46! Shipped! Until December 16 only! 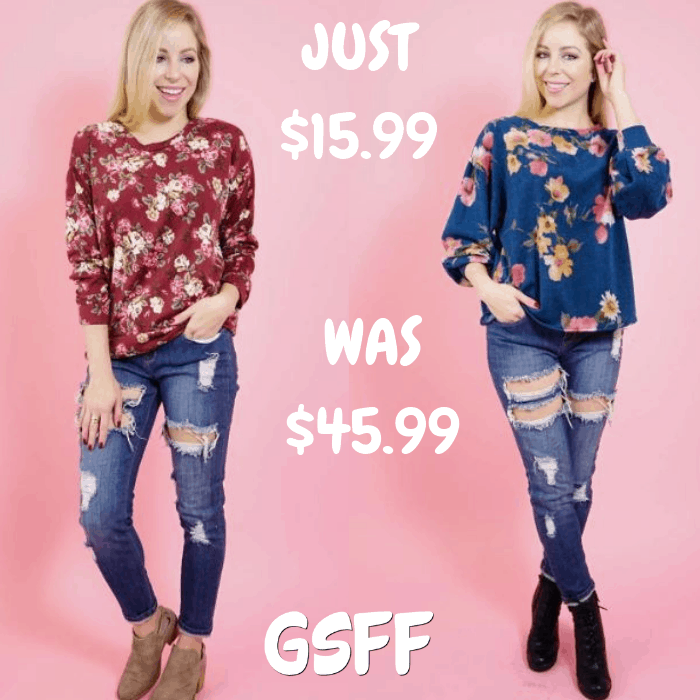 Hurry over to Jane where you can score this Fleece Floral Top for just $15.99 down from $45.99 PLUS FREE shipping! Good quality and cute! Perfect Christmas gift too!